The Mortgage Architects team is proud to announce the appointment of Marie-Josée Lepage as lead planner in Laval, Quebec. Marie-Josée cited Mortgage Architect's excellent reputation and technology as the main reasons for joining. "I was looking for a proactive and dynamic network, both in terms of business development and recruiting partner brokers. I am convinced that the Mortgage Architects will live up to my expectations." Her transition to Mortgage Architects is moving ahead smoothly and in a professional manner. "We are extremely happy to join the team of experts at Mortgage Architects. All of our clients and network of lenders will benefit from improved service," confided Marie-Josée." "We are a team with great expertise and complementary strengths. We are constantly researching development strategies, for that reasons it is an honour for us to join a high calibre network that will encourage us to better ourselves, still, after all these years." It is our pleasure to welcome Marie-Josée and her team into our network of planners, says Luisa Simonetti. For seven consecutive years, Marie-Josée received a prize of distinction for business volume, and an award for the second greatest business volume in Canada by Genworth. 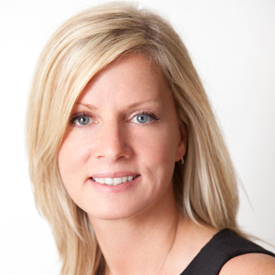 On behalf of the Mortgage Architect's brokers and franchisees we wish Marie-Josée our warmest welcome. Thank you for your confidence, and for becoming a part of our growing enterprise.